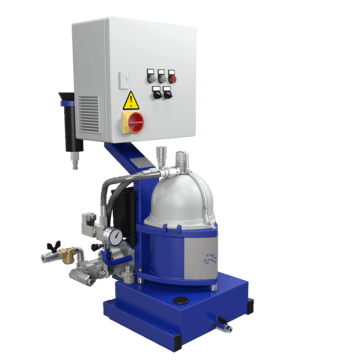 Streamline maintenance and reduce costs with the Alfa Laval MIB 503 centrifugal separation systems. Using advanced manufacturing, design and drive technologies, it’s smaller and lighter than conventional solid-bowl models. Solid-bowl separators have never been easier to install, operate or maintain. The Alfa Laval MIB 503 system features new designs and materials that improve performance and usability – reducing maintenance man-hours and boosting oil system reliability.